If you’re approaching retirement age, you’re probably looking forward to having lots of free time on your hand. After decades of working hard, why not? However, have you got your finances completely in order? Retirement should be a stress-free time, but only if you’ve got everything sorted way in advance. 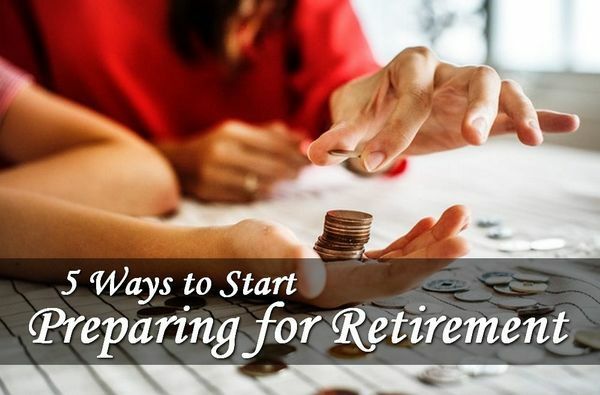 Even if you’re 30 years away from retirement, you need to start planning as early as possible so that you’re in the best position when it comes time to retire. You might want to make the decision to open a savings account for your retirement as early as possible, to put you in the best financial position possible. If you plan to retire soon, hopefully some of these tips could be for you. Make sure you’ve got everything sorted so that you can start enjoying your retirement rather than stressing over finances. Having a company pension is great, but this might not always be the best place to save your money. Try and shop around to find the best pension offer for you, and see if your employer will allow you to pick your own fund rather than the company one. You’ll also want to make sure you’ve got a good current account for your day to day spending. Remember, you should get a state pension as well, but this often won’t be enough when you retire. Make sure you build up as big a pension pot as you can and start saving as early as possible for retirement. It might be a good idea to save in multiple funds rather than having all your eggs in one basket. Aside from your pension, you’ll want to sort out the rest of your finances. Things like investment properties or other savings funds could have a big impact on your finances in retirement. Instead of putting all your savings into pensions, try diversifying things so that you’ve got different incomes from different sources. Make sure you get a good accountant and have a look at any tax issues you might have once retired. Calculate how much money you’ll have coming in from all your different investments and pensions. Budget accordingly and don’t spend more than you can afford. People often notice a decline in earnings when they retire, so make sure you’ve got enough money coming in to support your lifestyle. Or change your lifestyle. Aside from money concerns, lots of retired people find that they get bored really easily. Make sure you’ve got plenty to do so that you don’t get bored too. Try and pick up a few hobbies and make sure you stay social. Maybe you had to give up a certain hobby when you started work, and you might want to get into it again? Find plenty of things you enjoy doing to fill your time. Remember, you don’t have to fill your day with work any more, fill it with fun! You’ve worked for decades to earn this free time, so enjoy it. Don’t be one of those people that gets bored in retirement. Wow i haven’t read that type of article before. The content is so good and also helpful for me. Thanks for great article.